Laura Codruţa Kövesi from Romania was selected as the top candidate of the European Parliament for the Chief European Public Prosecutor. At the request of the EPP Group, MEPs had the opportunity today to send a clear signal that the worsening situation of the rule of law in Romania remains to be a Union concern. During a plenary debate, the EPP Group demanded that changes to the Romanian law undermining European values, as well as the intimidation of Laura Codruţa Kövesi, the European Parliament’s candidate for the Chief European Public Prosecutor, must stop now. “The EU needs a strong Public Prosecutor’s office with a bold and competent Chief Prosecutor to set an example for national prosecutors in the Member States who protect our finances, taxpayers’ money from corruption and other misuse. Laura Codruţa Kövesi is that person. She has our full support,” said Inge Gräßle MEP, Chairwoman of the European Parliament’s Budgetary Control Committee. “Romania’s attempt to sabotage Laura Codruța Kövesi’s candidature is shameful and looks like a vendetta commanded by a Social Democrat leadership that fell under her investigation against corruption. The EU should not reward the Romanian government for this unacceptable action”, added Gräßle. “Romanians deserve the same respect for European values as everyone else in the EU. The attempts by the Romanian Government to water down anti-corruption legislation and weaken judicial safeguards remain a concern. 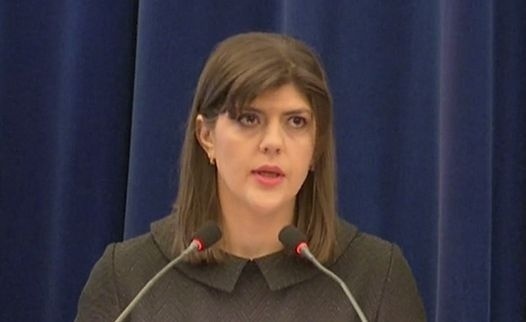 The brazen effort of the Romanian authorities to undermine the candidature of Laura Codruța Kövesi for the European Public Prosecutor only serves to reinforce our concerns with the situation in Romania. We must stand with those Romanian people demanding that justice does not remain blind and who want an end to corruption,” stressed Roberta Metsola MEP, the EPP Group Spokeswoman in the Civil Liberties, Justice and Home Affairs Committee. “The European Commission must act. If national authorities fail, the EU must make it clear that the Union values of democracy and judicial independence are here for all Europeans”, concluded Metsola.